The Davis Police Department is asking the public for their help in locating a missing juvenile. 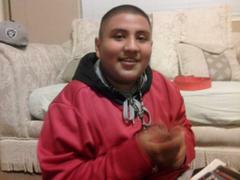 Issac Flores, a 13 year old Davis resident, was reported missing on November 27 in the late evening hours. Flores took some of his belongings, and left a note indicating that he left his residence voluntarily. The Davis Police Department is asking anyone who may have seen Issac, or knows of his whereabouts, to contact the Davis Police Department at 530-747-5400. Flores is described as a Hispanic male juvenile, standing 5’7” with a stocky build, black hair and brown eyes. It is unknown what Flores may be wearing. Flores is considered “At-Risk” solely due to his age, and there is no criminal activity suspected in his disappearance.